Eating should be a celebration of sharing, and BeetleCat is the perfect spot to share good food with your friends and loved ones. 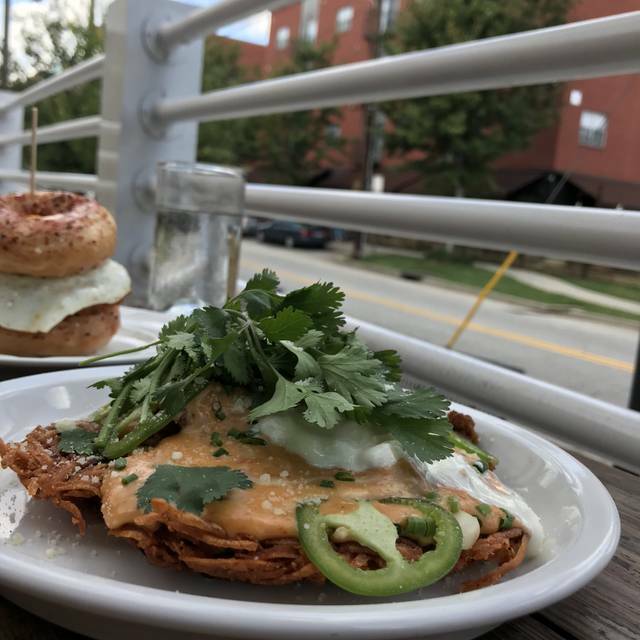 Featuring raw oysters and fresh seafood with international influences, BeetleCat is a trendy, upscale bar, lounge and restaurant in Atlanta’s Inman Park neighborhood. 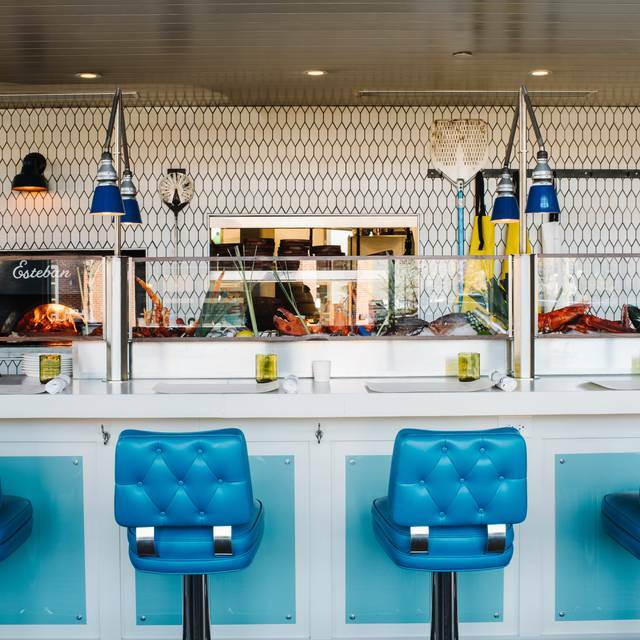 Step aboard and be transported to a seaside fish camp at the upstairs dining room and oyster bar, dine below deck in the Den for 70s surf shack vibes or get some fresh air on one of the two patios. 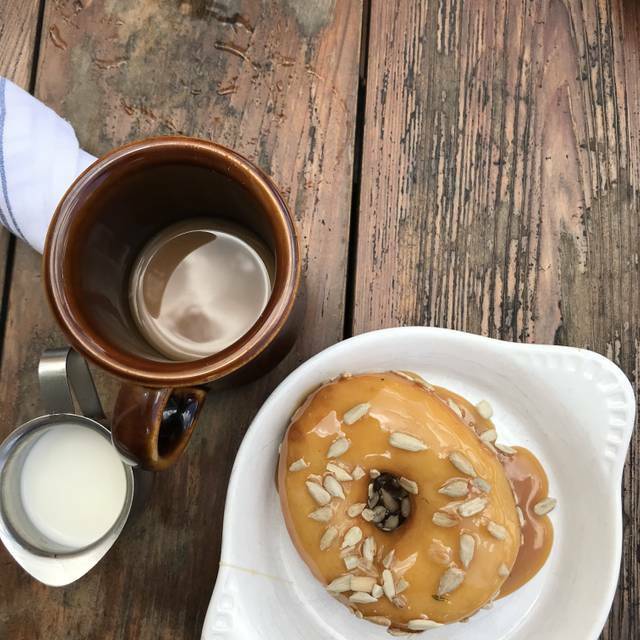 BeetleCat is open nightly for dinner, serves lunch on Fridays and offers Donut Brunch in the Den on Saturdays and Sundays. Enjoy Oyster Happy Hour all night on Mondays and during limited hours Tuesday through Friday, or stop in for Late Night on Friday and Saturday for a special menu and a live DJ. Menu highlights include seasonal crudos, lobster roll, udon noodle with spicy shrimp sugo, moqueca fish stew and Bev’s clam strip burger, all served alongside tiki cocktails. First time experience. Very good. My guests and I plan to return. The only downside was our table near the door that provided a constant shot of cold outside air every time someone came in and out - and this is a busy restaurant. This, however, was not enough to offset the fare and service. The staff and managers at Beetlecat took such good care of me and my party of 12 for my birthday dinner! They went out of their way to accommodate a large party of its size and even went out to get propane for their warmers since the weather got down into the 40’s and we were on the patio. They even brought out some birthday shots for my group with candles on it! Food was excellent and our server took amazing care of us!! I will definitely be back!! Thank you! Beetlecat is amazing! We can’t wait to go back. 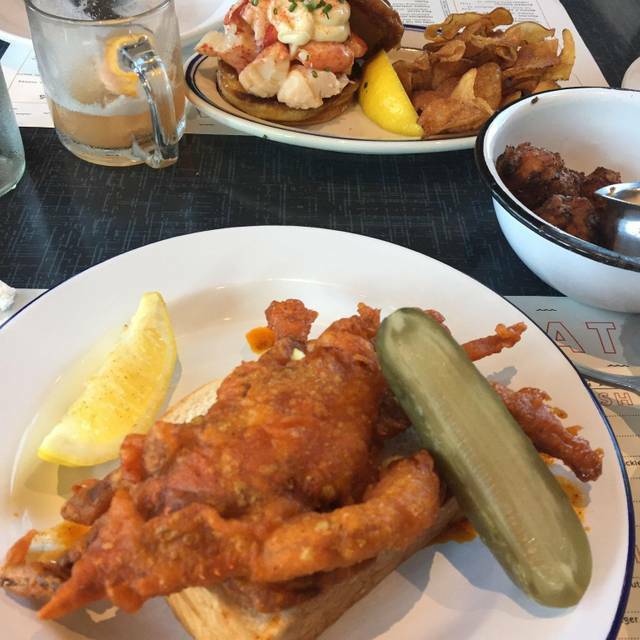 Amazing food, great Monday oyster happy hour! Stephen is an excellent engaging server.. food was fabulous and he guided us on the new creations. Service was amazing, I walked in with a mean face, and not really in the mood to talk. Sat down ordered in a timely manner, ordered and received my food. My waiter cane to check on me twice, when finished he asked how was my food. I explained it was good. He asked why such a long face then I proceeded to explain I just had gallbladder removal and I still was in pain and not feeling well, the waiter express his sympathy and later returned with a coconut pie and hoped I felt better soon. Service like this is so refreshing and made me feel better than I did when I first walked in. The food was not anything more than seaside seafood at twice the price and half the portion. I'd stick with The Atlanta Fish Market. VERY Limited menu that left a lot to be desired. Server was a bit slow given the lack of how busy they were. Still great brunch and Atmosphere. 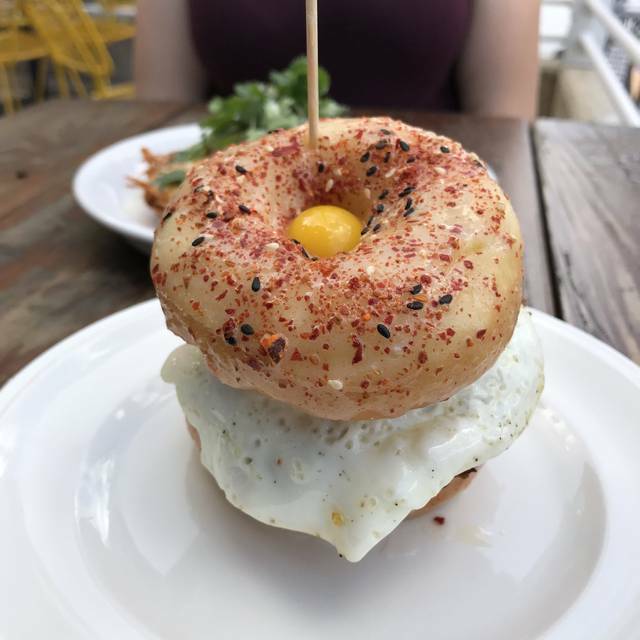 Went to brunch for a birthday weekend kickoff at the Inman Park location, food and service were just okay. This is not Ford Fry's best, hit up the Optimist instead. Fun experience, good service, great drinks. A little pricey for portion sizes. The baked oysters were mostly a vehicle for butter and other toppings...didn't really taste the oysters much. Loved it! Food and service was amazing!! We ordered 4 plates, as they are served family style. We ordered the Kimchi Beef Eggrolls, Tuna Tartare, Lobster Roll, and the Blue Crab with Garlic Noodle. 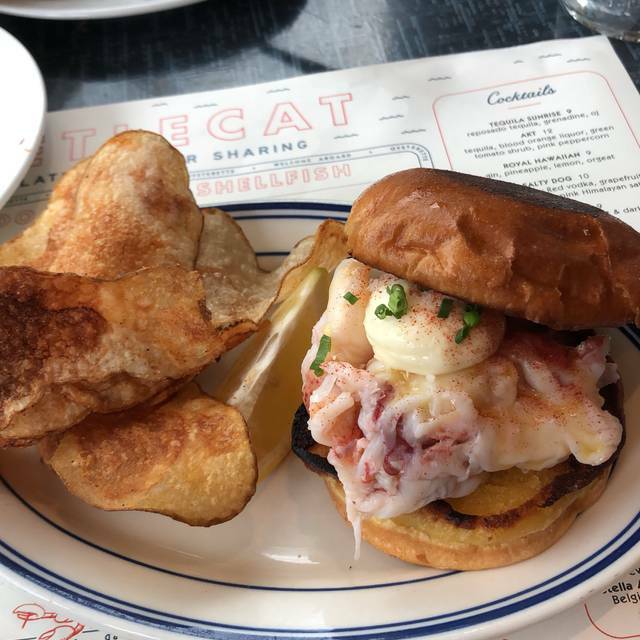 The lobster rolls are a must! This place is going to be one of my regular spots. Delicious food (unique selection and not a single bad order) and great service. Will definitely come again. I had a 6:15 reservation, and my date was running a little late. When she finally arrived it was well after the reserved time, but the hostess sat us immediately anyway. After about 15 minutes our server still had not greeted us. I got the attention of another server and she took our drink order. 5 minutes later our drinks arrived with finally our server, she introduced herself and took our food order. She only came back to check on us 3times in 2hrs. ,but she found time for her other tables. Everything was great except our server! The food and ambiance were great, but the service was poor. Showed up on a whim as we explored the area and had a late lunch/early dinner on a Saturday evening. Not too busy inside but apparently the patio was packed. 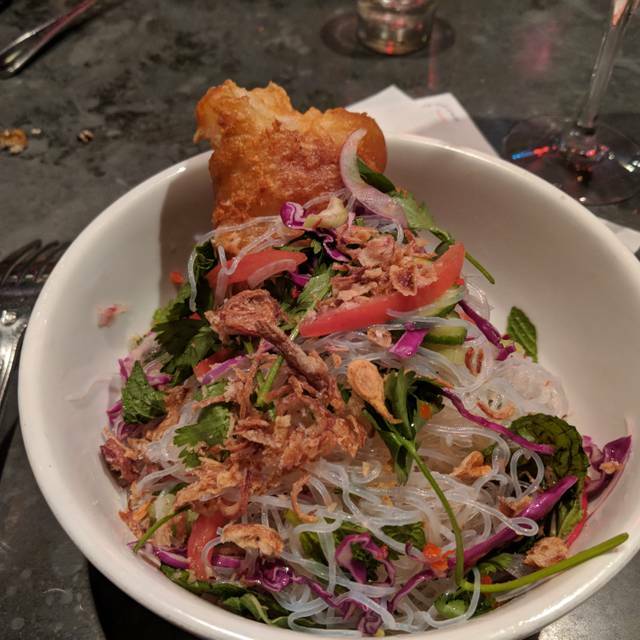 Food was incredible and the ambiance was great - but the service was very slow and not very welcoming. Was a bit concerned about where to go in Atlanta - first trip - amazing place very cool, great service downstairs even better in quieter upstairs (I’m in my 40s) so old! This is a special place and one of our favorites. We love bring visitors here for the tasty cocktails, great oysters, awesome food. The lobster roll and salt and pepper squid are a must try!!! I particularly liked the smaller plates. They were interesting and tasted. Unfortunately for me, they offered very few main dishes that are gluten free, a requirement. I thought the ambiance was a bit stark for the price point. I will certainly be back for more of the intros. Very, very cheap ingredients for an arm and a leg. Service is average, won't recommend or return. 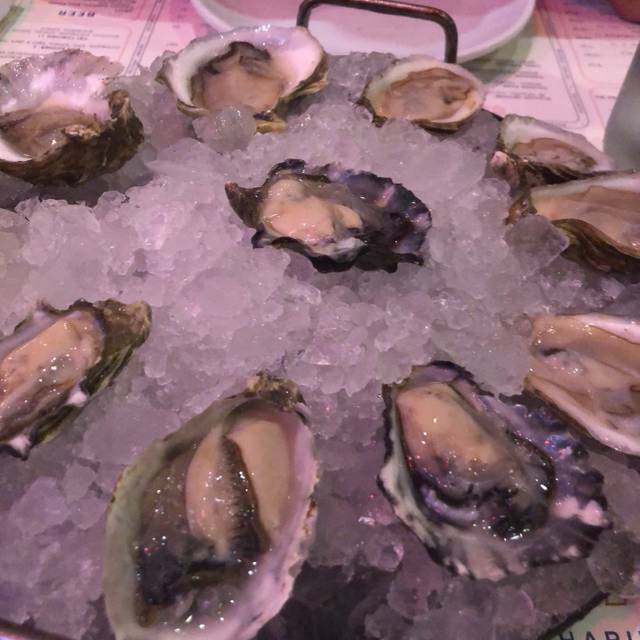 Delicious oysters and salmon. Highly recommended both. Best egg rolls I've ever had in my life :-). First time there - nice oyster selection, loved the lobster style oysters from Prince Edward Island. The cauliflower was great. The ribs tasty, the spaghetti squash meh and the clams meh. But that's after having the best clams ever on Prince Edward Island last year. Overall very good experience. Shrimp Sugo was way too spicy to eat and there was no warning/indication of it’s spiciness. Oysters and lobster roll were delicious. Lively place in a 'happening' area with fantactic food, especially the oysters. Service was spot on! They even brough us a nice dessert for my daughter's birthday. Highly recommend! I always love Beetlecat. Food is great and service is super attentive! And I adore the Royal Hawaiian cocktail! we thoroughly enjoyed sitting on the highland st. patio watching passersby. great people watching spot, and the service and food were fantastic. Oh my word!!! Fun AND the food was awesome. Hello Lobster Roll!! Server Kevin was 5 star too. The food was very good and the service was as well. This is a nice little spot with some unique cocktails and menu items. Great brunch drink and food selection. Great service! 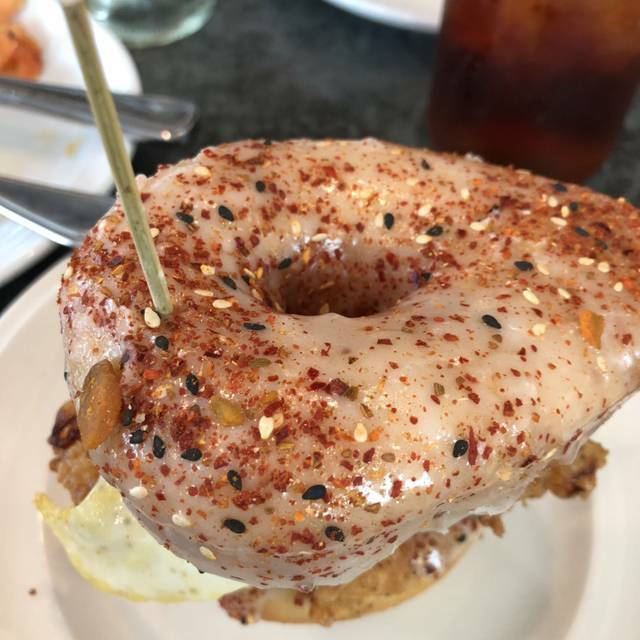 I’ve been to Beetlecat twice when visiting Atlanta and enjoyed it both times. The food is excellent — our table especially enjoyed the stew. the whole branzino, and th kale salad. The vibe of the place is great —a beautifully designed space, a little noisy but not deafening. Our service was friendly but slow — we waited more than 5 minutes for our drink order, for instance — but it wasn’t enough to ruin the experience.